I have received a few comments from readers about Internet Explorer compatibility issues with my site. Here is some information on how to fix the issue on your end. Thank you for your comments and encouragements. IS A COMPLETELY NATURAL SAFE NON-SURGICAL METHOD OF REDUCING THE SIGNS OF AGING WHILE REJUVENATING THE MIND, BODY, AND SPIRIT! 'With cosmetic acupuncture facial rejuvenation you can have more radiant, beautiful and healthy skin. The term “cosmetic” is used because of the focus and expectation of the outcome from the acupuncture treatment. The Cosmetic Rejuvenation Acupuncture System focuses on a complete approach designed to improve the production of collagen and elastin in the skin while balancing your body to improve your health. The overall affect of this dual approach results in a younger looking, firmer, revitalized face! Experience the Multiple Benefits of Facial Rejuvenation and Acupuncture Combined! Cosmetic Acupuncture is a more subtle rejuvenation that takes years off one's face safely and naturally while improving overall health. Plastic Surgery and Cosmetic Acupuncture have “the clock is always ticking” in common. Aging does not stop! Patients who wonder if “I should just have a facelift and be done”, should first consider the long-term effects and what their goals are. A facelift will need to be repeated every 7-10 years depending on health, diet, sun exposure, etc. Is this something you want to keep up? Cost, health, risk factors and compromising a natural appearance are important considerations. Although Cosmetic Rejuvenation Acupuncture is NOT a surgical face-lift it can turn back the clock. Your appearance will always be natural and reflect your improved health and the character you have spent a lifetime building. This is a procedure you can do once in a lifetime or once a year. If you stop the process at any time you will not have the issue of skin and soft tissue that have been surgically altered. If you don’t have normal blood circulation, your face will look dull. Plastic surgery can never improve your skin’s appearance or give it a nice pinkish color, or give overall muscle tone to the face to make you look authentically 5-10 years younger. You’ll look lifted and that’s it; No health benefits. It actually consumes your vital force in the process of trauma and healing. 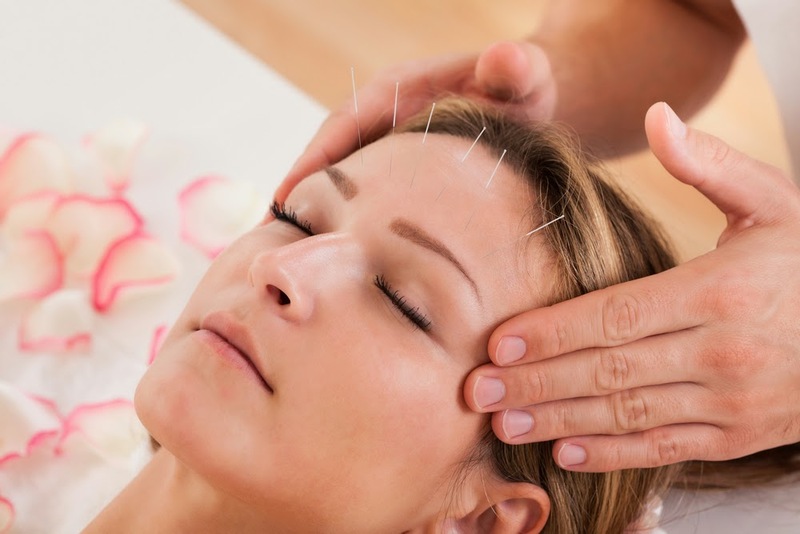 There are two aspects to the benefits of Cosmetic Acupuncture. One is the benefit of ‘local’ treatment and one is the benefit of ‘root’ treatment. Local treatment directly addresses facial aging symptoms while root treatment treats the underlying cause of facial symptoms such as hormonal balance, digestive problems or emotional stress. Both local and root treatments are performed in each session to provide the best and the longest lasting benefits. With Acupuncture, there is very little discomfort when the needles are inserted into the skin. There is nothing in the needles. They are solid, not hollow. The process is not painful and it does not require any down time. It does not cause scars, bruises or irritation. You can go back to your normal life immediately after the treatment. Why Choose Cosmetic Acupuncture Over a Surgical Face Lift? Cosmetic Rejuvenation Acupuncture is a painless alternative that has no side effects at all and is very safe with no real possibilities of complications. Due to the trauma created by a surgical facelift, the recovery time can be more than two weeks, while an acupuncture face lift has no recovery period with no swelling, discoloration or any bruising to worry about. It is far less costly than cosmetic surgery and is safe, virtually painless, has no side effects or risk of disfigurement. Unlike surgery that may have an extended recovery period with swelling and discoloration, there is no trauma from Cosmetic Rejuvenation Acupuncture. More and more, women and men too, are looking for a natural face-lift, that is, a way to maintain their youthful looking facial skin, naturally. Face-lifts using surgery, or cosmetic face-lifts using products such as Botox injections, are being replaced at least in part, by natural methods. What is Facial Acupuncture Rejuvenation? Acupuncture Facial Rejuvenation is a completely natural non-surgical method of reducing and improving the signs of aging. Acupuncture and Chinese herbal supplements are used to erase years off of your face. Each patient is unique and treated based on the differential diagnoses of Traditional Chinese Medicine, helping the whole body to look and feel younger by addressing the physical, mental and emotional patterns that cause disease and contribute to the aging process. How does Cosmetic Rejuvenation Acupuncture Work? In Traditional Chinese Medicine Theory beauty comes from within. When the flow of Qi, Blood, and Essence are not balance within the body it starts to age in a way that looks and feels unhealthy. Acupuncture Cosmetic Facial Rejuvenation works to restore balance making you feel and look more radiant. On a physiological level, acupuncture has been shown to increase circulation of blood and Qi (also known as life energy) throughout the body. Increased blood flow can helps to maintain healthy skin and muscle tone by sending nourishment, moisture, and "lifting" energy to the skin and muscles of the face. Tui Na massage is used to increase lymph flow combined with acupuncture it can help to strengthen the immune system; our skin is an essential part of our immune system. The needles inserted into the face affect collagen and elastin production, which will help tone the skin. Collagen is a protein produced by our bodies that is responsible for our skin's durability and resilience. Elastin is responsible for the elasticity of our skin. Sun exposure and aging degrade and decrease the production of our collagen and elastin. Acupuncture helps to stimulate the body's natural processes of cell reproduction and growth. Needles are placed in the muscle motor points to re-educate the muscles back to their original placement, thus the face looks more sculpted, more youthful and lifted. Cosmetic Acupuncture is also known as facial acupuncture and facial rejuvenation acupuncture. What if I've had Botox? I have had a facelift. Do I need Facial Acupuncture Rejuvenation? Yes. Overall facial muscle tone, circulation, collagen and elastin stimulation and the glow from within are not benefits of a facelift. Scar reduction therapy can be employed to break down the scar tissue for a smoother more natural appearance as well as re-establishing the energy and blood flow through the scarred areas. Facial Acupuncture Rejuvenation is a non-surgical method of reducing the signs of the aging process. Acupuncture techniques as well as a variety of Chinese medical treatments and Chinese herbal supplements are used to erase years off of your face. Based on the differentiated diagnoses of Oriental Medicine, the whole body looks and feels younger by addressing the physical, mental and emotional patterns that cause disease and contribute to the aging process. Why get Cosmetic Acupuncture over other cosmetic procedures? Are the effects of Cosmetic Acupuncture proven? A 1996 report in the international Journal of Clinical Acupuncture reported that among 300 cases treated with Cosmetic Acupuncture, 98% had marked effects with one course of treatment. What are the effects of Cosmetic Acupuncture? Cosmetic Acupuncture may erase as many as 5 to 15 years from the face, with results apparent after a course of treatments. Fine lines may be eliminated and wrinkles diminished. Bags under the eyes can be reduced, jowls firmed, puffiness eliminated, droopy eyelids lifted and double chins minimized. Other likely results include: moisturizing of the skin with increased local circulation of blood and lymph to the face; increased collagen production, muscle tone, and dermal contraction; tightening of the pores; brightening of the eyes; improvement of hormonal balance to help acne and the reduction of stress. This brings out your innate beauty and radiance. While it does not produce the dramatic results of some of invasive procedures, it does help the face look younger, healthier and more radiant without dangerous side effects. Since the body/mind/spirit are all connected, negative emotions reflect in the face and change the appearance of skin texture, color and tension. Acupuncture can eliminate stress and bring out innate strength, vitality and health. Patients will not only look younger but also most certainly feel younger. Science has indicated that stress is the number one killer in the world leading to high blood pressure, heart disease, and many other ailments. Have you ever considered how STRESS can affect your face? And certainly, stress causes one to age more rapidly (including in the face). Acupuncture is a great stress reliever. What is Scar Reduction Therapy and who is a candidate? Needles are used to break down the scar tissue, which reduce it in size and thickness for a smoother more natural appearance. Also, the energy and blood flow through the scarred areas is re-established. Women with Hysterectomy scars benefit greatly. Anyone who has had body piercing scars, surgery scars, scars from trauma, especially keloid scars, benefit greatly from scar therapy. Facial scars are especially important to reduce in size. Redness, unevenness, sensitivity, numbness, tingling are all indications that the scar should be worked on. How many Cosmetic Acupuncture treatments do I need? A typical course of treatment consists of one consultation and initial treatment followed by 10 consecutive treatments twice per week for 5 weeks to achieve desired results. While results are often noticeable after just a few sessions, a full course allows deeper, more lasting results to occur. It is important to understand that the aging process continues during the time following your Cosmetic Rejuvenation Acupuncture series and additional treatments may be needed based on age and condition of skin and health. Cost of additional treatments will be discussed prior to occurring. Diet, lifestyle and illnesses can affect the length of the results. 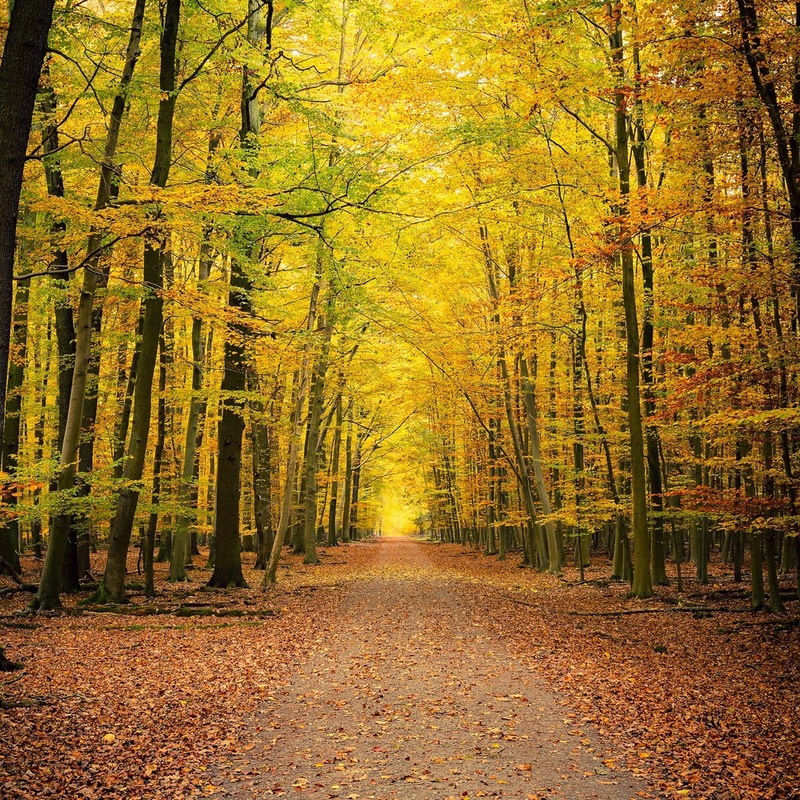 When a patient experiences a dramatic event in their life they can undergo a few treatments to help restore balance. After completing a course of treatment, maintenance sessions can prolong the results. Maintenance sessions usually occur monthly for a few months and then seasonally for as long as you wish to maintain results depending on the reaction of the patient. For some difficult cases, for example if the patient is older with deeper lines, they may choose to repeat another 10 sessions. How long does the visible improvement last? The effects of Facial Acupuncture Rejuvenation are cumulative and last up to 3-5 years after a course of 10 treatments, with maintenance. Each patient will be different, but usually each patient will need maintenance treatments once per month for a few months or once per season. Cosmetic Acupuncture diminishes the fine lines already existing on the skin and prevents the skin from aging. At what age should I start Cosmetic Acupuncture? Skin elasticity starts to decline at the age of 21. So, it is never too early to start. Typically, best results are seen in patients before the age of 55. The best age range is between 20 to 65 years old. Even younger youthful skin will benefit from cosmetic acupuncture to delay the aging process and keep the skin glowing. What is the Cosmetic Acupuncture procedure? An Initial treatment to discuss a patient’s health history, including any physical, mental or emotional issues in the patients daily life that need to be balance and work on. The practitioner will evaluate what changes the patient would like to see in their face and skin and what kind of treatment plan best fits their needs. Each treatment involves the insertion of tiny acupuncture needles, finer than a strand of hair, into specific areas throughout the whole body. The needles are inserted throughout the body while a patient is relaxing and comfortably lying down on a treatment table. During acupuncture, full attention is given to help our patients relax in order to receive the most value from their treatment. After each needle is inserted, patients report feeling nothing or sometimes a vague numbness, heaviness, or slight tingling. However, the treatment is effective whether these feelings are sensed or not. The needles will be left in for 20-30 minutes while relaxing with soothing music. In general, the treatments are very relaxing. Many patients fall asleep. After the treatment, most patients experience a relaxing euphoric feeling. It is quite common with the first one or two treatments to have a sensation of deep relaxation or even mild disorientation immediately following the treatment. These sensations pass within a short time, and never require anything more than a bit of rest to overcome. How long are Cosmetic Acupuncture treatments? How should I prepare for my Cosmetic Acupuncture treatment? Patients should eat (but not overeat) before an acupuncture treatment and should wear comfortable clothes. Refrain from rigorous exercise for at least two hours before and after treatment. Alcohol consumption is not advised. An evening Facial Acupuncture session may keep you awake at night, so it is recommended to schedule a session no later then 6PM. Why treat the body as well and not just the face only? The effects of Facial Acupuncture Rejuvenation are not confined to the face. Each acupuncture treatment is individualized according to their specific needs and how each person is aging. No two people receive the same treatments because each person's aging process is unique. Acupuncture points are chosen based on an individualized differential diagnosis according to the Theory of Chinese medicine. A diagnosis is reached by examining constitutional health issues and any symptoms a patient may be having including complaints such as digestive problems, acute or chronic pain, stress, insomnia, fatigue etc., all symptoms will be addressed over the course of treatment and specific points will be chosen accordingly to address all areas of health. Thus, the treatment is an overa ll balance of your health as well as your appearance enhancing the beauty from within. A patient’s wrinkles will disappears, jowls will tighten and health will improves all at the same time! Throughout the course of treatment, other physical symptoms you may be experiencing will also improve, even if the symptoms are not actively addressed. Treatments improve hormonal balance; delay the graying of hair and hair loss associated with aging. Patients often notice they have better quality of sleep, increased energy, enhanced digestion and metabolism, strengthened immune system and improvement of any chronic or recurring pain. Are these new and unproven trendy techniques? Over the last 4,000 years, more people have been successfully treated with acupuncture than with all other health modalities combined. For thousands of years, the Chinese have known that beauty comes from the inside. At least as early as the Sung Dynasty (960 AD-1270 AD) Acupuncture rejuvenation practices were employed for the Empress and the Emperor's concubines to enhance beauty. The Chinese discovered and utilized ways to change the energy flow within the body to initiate the healing process for rejuvenation. According to a famous Chinese axiom, "Where qi goes, blood flows." Even for those unfamiliar with the principles of Chinese Medicine, it is known that increased circulation helps the body to look and feel better. Common sense would tell us that treating the underlying cause of why someone is aging is preferable to masking the outward symptoms and allowing further decline and dysfunction to continue within the body. Yes. Nationally Board Certified and State licensed Acupuncturists know the human anatomy well, and insert needles in a safe fashion. The instruments used to penetrate the skin are pre-sterilized and disposable after a single use. Acupuncturists are well aware of the concern over infectious diseases, and take every measure to insure cleanliness as all health care professional do. Bleeding rarely occurs, and if it does the amount is minimal like a drop and in no way dangerous. Never! Needles are only used one time and disposed of in sterile sealed containers after every treatment. We only use disposable needles, there is no risk of infection from the treatments. The needles are sterile and sealed in individual packages. Apart from being an unforgivable ethical violation, an Acupuncturist could lose their license among other things. Being a health care professional entails huge responsibility. What if I fear needles? Do the needles hurt? The experience of having acupuncture is pleasant, relaxing and energizing. The needles are hair thin, sterile and generally painless and never used twice. Acupuncture needles are hair thin, solid needles made from the finest quality stainless steel. The point is smooth (not hollow with cutting edges like a hypodermic needle) and insertion through the skin is not as painful as injections or blood sampling. The risk of bruising and skin irritation is much less than when using a thick hollow needle. There may be a brief soreness or pulling sensation, which means that your qi has connected with the needle but there should be no pain. Most people who have had acupuncture would describe it as virtually painless or far less painful than plucking out a hair. How do you use Chinese Medicine to diagnose my health? Your acupuncturist will ask a variety of questions regarding your specific complaint and general health in combination with the information provided on your health history intake form as well as Traditional Chinese diagnostic methods including radial pulse reading and tongue diagnosis in order to come up with a personalized treatment plan. How do Chinese Herbs contribute to the treatment? Chinese herbs are an important part of the Facial Rejuvenation protocol. Herbal formulas are selected based on your constitutional diagnosis. Again, the principle is that if the body is in balance and your organ systems are functioning properly, the negative signs of aging are reduced. Chinese herbs help to restore balance on a daily basis. They help to continue the effects of the acupuncture between treatments. Also, sometimes more severe symptoms—for instance hot flashes, night sweating, hair loss or even bloating and indigestion—are more effectively treated with herbal supplement, rather than by acupuncture alone. What else can I do to prolong my result? Remember to keep good mental or written notes of what your response is to the treatment. As it important information for your practitioner to know so that the follow-up treatments can be designed to best help your overall well being and your facial rejuvenation results. Herbal supplements, diet and lifestyle changes, as well as facial exercise can enhance the effects of Facial Rejuvenation Acupuncture and further improve your health, well being, and youthful appearance. As part of your overall Facial Rejuvenation Acupuncture treatment such complementary therapies may be recommended. Chinese herbs have been used for centuries to increase longevity enhance beauty, and address many other health conditions. Addressing diet and lifestyle factors that impact our beauty can help to enhance the effectiveness of Facial Acupuncture Rejuvenation sessions. Adequate protein, for example is essential for collagen production and overall energy. Sufficient sleep and proactive stress management also have a positive effect on our appearance. As a holistic approach to health and beauty, Facial Acupuncture Rejuvenation includes an overall evaluation of your needs in order to develop a specific, personal course of treatment for each individual. No. Acupuncture is used successfully on cats, dogs, horses and other animals. These animal patients do not understand or believe in the process that helps them get better. A positive attitude toward wellness may reinforce the effects of the treatment received, just as a negative attitude may hinder the effects of acupuncture or any other treatment. A neutral attitude ("I don't know if I really believe in this.") will not block the treatment results. How do I know my practitioner is qualified to do Acupuncture and Facial Acupuncture Rejuvenation (Cosmetic Acupuncture)? Make sure that the Acupuncturist/TCM Doctor is an NCCAOM and state licensed practitioner trained in Cosmetic Acupuncture certified with the American Acupuncture Council.